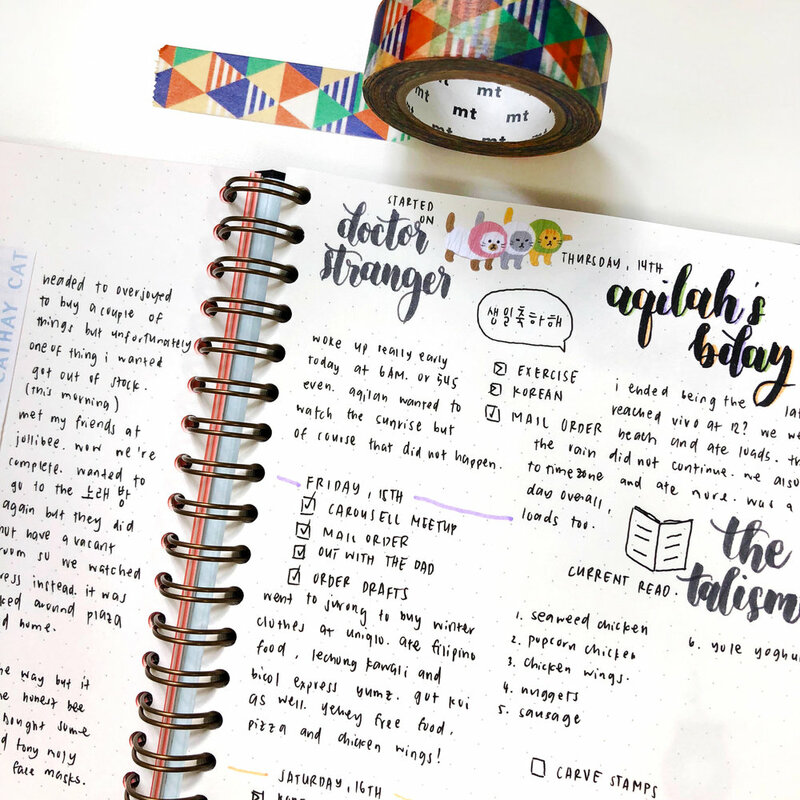 OK, SO WHAT IS A BULLET JOURNAL? It uses quick notes instead of long sentences which are coded via a key. 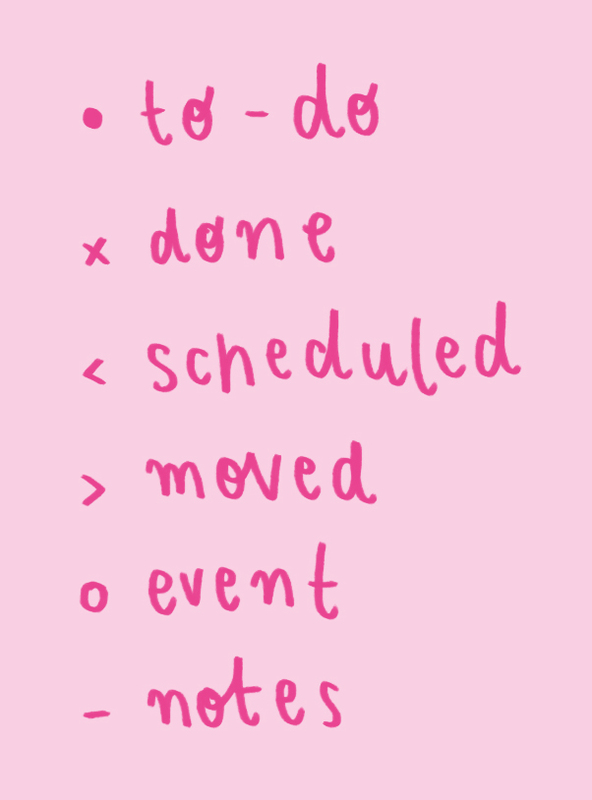 The reason a bullet journal is called a ‘bullet’ journal, is due to the way tasks are listed. Tasks begin with a ‘bullet’ - there are many different bullets to distinguish what type of task is taking place. Below is an example of what bullets mean what, you can use these yourself or use symbols that suit you! These bullets are usually written in the front of your journal in a key so you can remember what’s what. 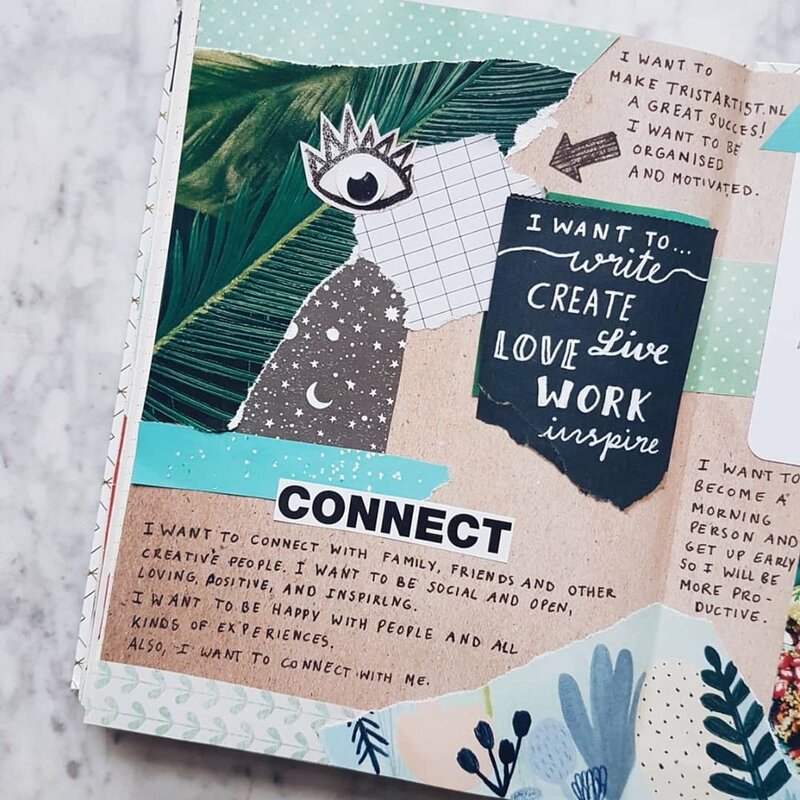 With over 120k followers on Instagram, bullet journal expert @justjhons shares his organisational wisdom. 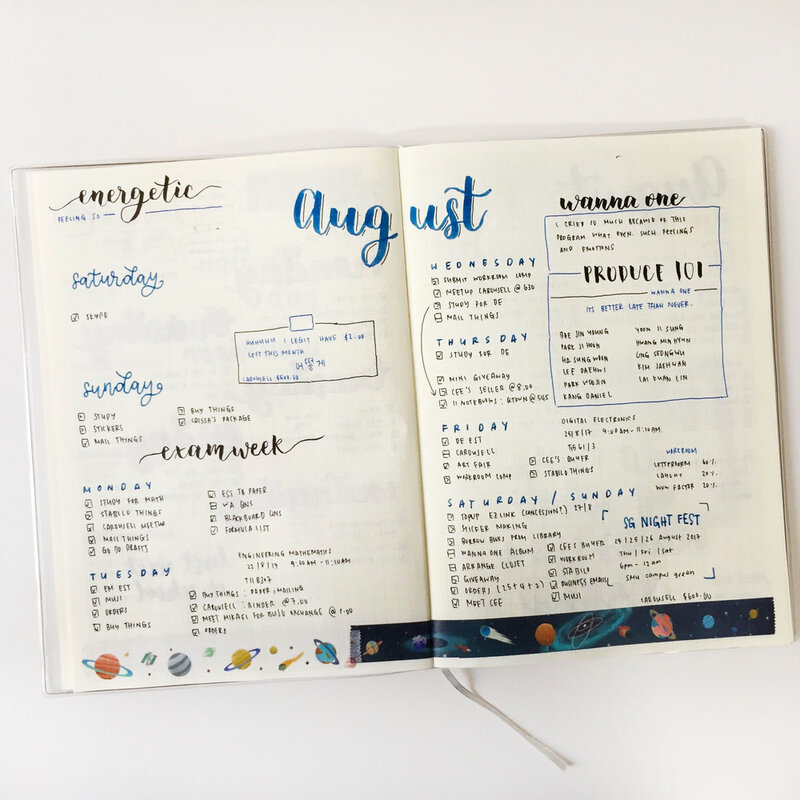 What are your top 5 tips for keeping a bullet journal? Firstly, to figure out what the purpose of your bullet journal is. I believe that the main thing about a bullet journal is to organise your plans and ideas. However, there might be another reason that will even further your interest in keeping your bullet journal. I love to do little summaries of what happened during the day and include it into my bullet journal. Some people might choose to draw something that describes their day. These small little things are very important, something that is distinct to your own bullet journal. Make sure that you love the materials you are using. 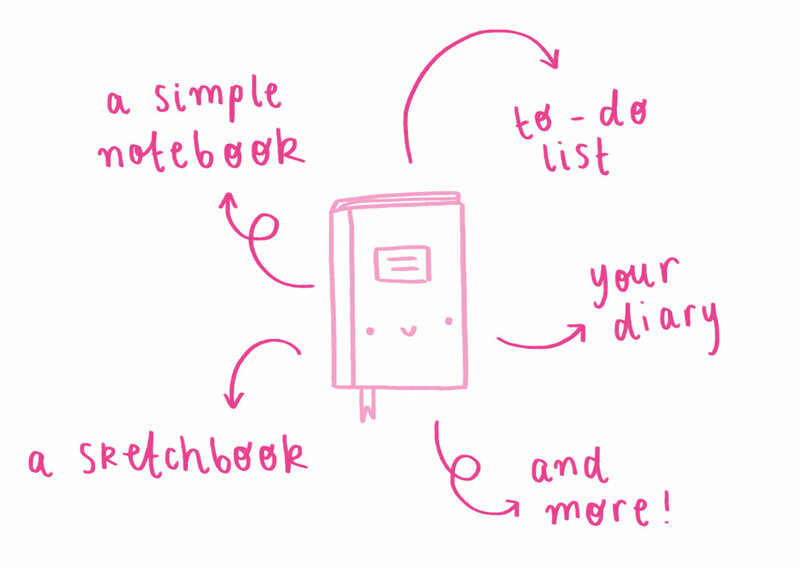 It doesn't have to be fancy stationery, just something that makes you happy. Maybe, the journal you are using was a gift from a special someone? Try out different things. Repetitive layout and spreads can be quite dull and it will get less and less interesting along the way. Why not try a random spread you might think of walking down the road. Step out of the box! Don't stress too much about it and just go with the flow. Sometimes, not having an actual plan and creating a random spread will bring out the best in you. Have fun. Make sure that along the way you're enjoying what you're doing. This is the one of the most important thing that will make you keep your bullet journal. As long as you're getting things done and you're having fun. I'm pretty sure you're in the right path! How do I find my own bullet journal style? Finding your bullet journal style can take quite some time to be honest. You can search out inspirations from people and try new things. Remember not to copy though, with bullet journaling you have all the freedom to do to what you want. See what works best for you and if there are things that you think might be great written down in your bullet journal, jot it down! Maybe, you'll even start a trend and help people come up with another bullet journal "must". Do I have to update my journal every day, or as when I feel the need? Definitely only when you feel the need to! That's what's great about bullet journaling. It doesn't make you feel restricted as some planners might do. You can customise it to your own needs. For instance, if there's a day when you think you won't have a lot of plans. Feel free to leave it out, don't stress about it and skip that day. Everyone has lazy days! 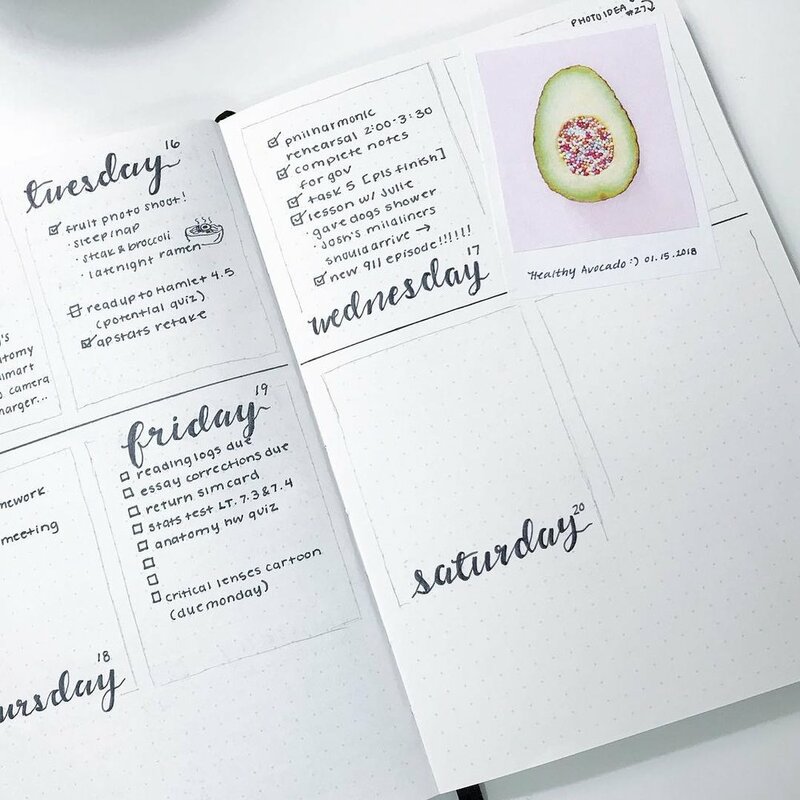 Does your bullet journal keep you more motivated and productive? If so, how?! Absolutely. For me personally, I update my bullet journal along the way. This means, I plan some tasks the night before the actual day. By doing so, I would have a rough idea of what I need to get done during the day. Accomplishing the task and ticking it is very satisfying and motivating. I can gauge whether I've done a lot of things and reward myself if I do so. What is the number one thing you enjoy about keeping your bullet journal? Bullet journaling lets my creative juices flow. Having an outlet where I can plan my daily mundane tasks and make it into something more interesting keeps me going. Given the space where I can experiment and try out different things, there are endless possibilities with a bullet journal that makes me want to further see where my creativity can take me. 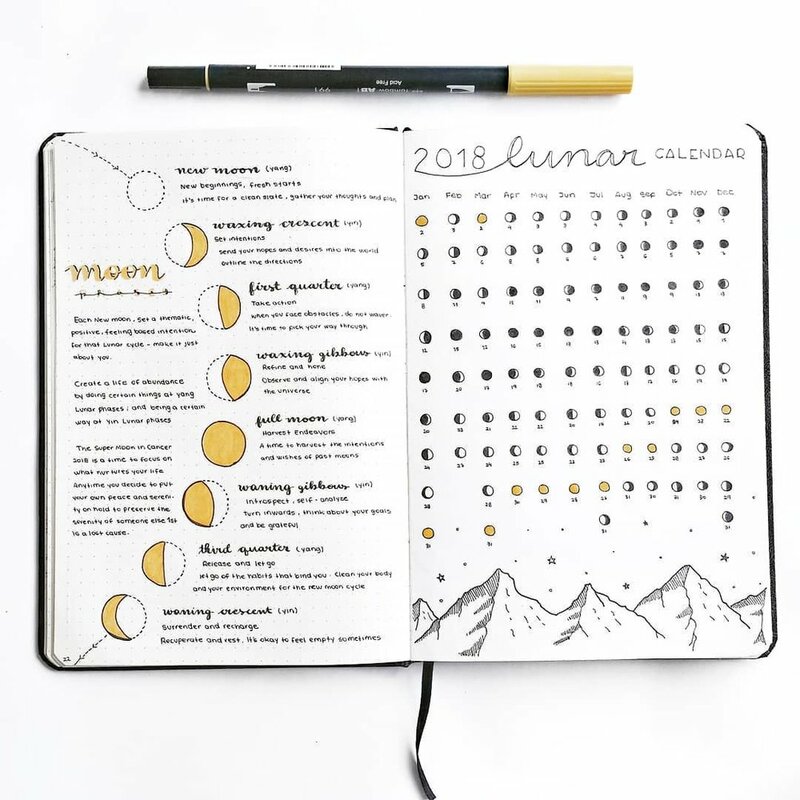 Check out Jhon's amazing bullet journal spreads over on his Instagram @justjhons! Click the images above to see some lovely inspirational Instagram accounts!